Most Democrats opposed the resolution and criticized the "ridiculous," "stupid" and meaningless vote. 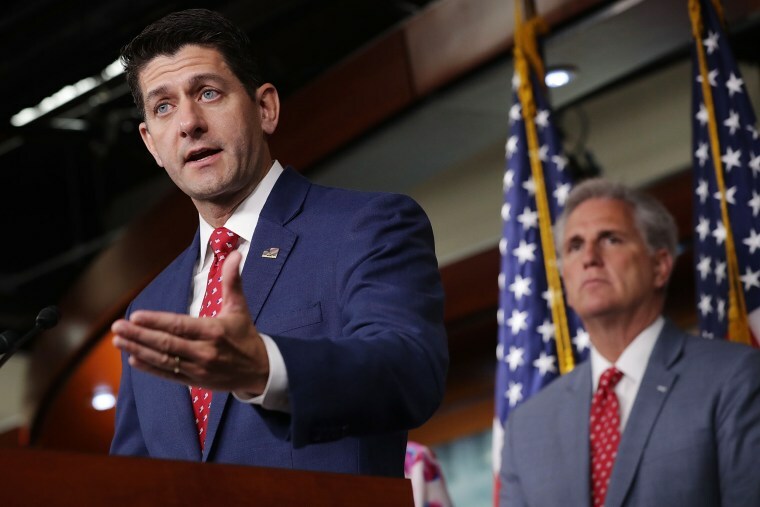 House Republicans overwhelmingly passed a non-binding resolution Wednesday opposing undocumented immigrants voting in U.S. elections, including in cities where laws have allowed non-citizens the chance to participate in local elections. The measure was approved mostly on a party-line vote, 279-72. Forty-nine Democrats joined Republicans in declaring "that allowing illegal immigrants the right to vote devalues the franchise and diminishes the voting power of United States citizens." Most Democrats, however, blasted the GOP for what some described as a "ridiculous," "stupid" and meaningless vote. The Republicans "have done absolutely nothing to protect us against the Russia investigation...but somebody's voting in their local school council election, that's worth denouncing?" said Rep. Luis Gutierrez, D-Ill. The vote came as San Francisco began this week allowing those lacking legal status the option to register to vote in school board elections. Majority Leader Kevin McCarthy, R-Calif., proposed the resolution after hearing from naturalized citizens who said they felt "disenfranchised" by non-citizens taking party in school board elections. "This dilutes why people work so hard to become citizens. It dilutes an election as well," McCarthy told NBC News. "I think only American citizens can vote." Although the House resolution has no force of law, it has raised a larger question about who should be able to vote and whether the bitterly partisan immigration debate may soon reach the lowest rungs of government. "This just shows how radicalized our politics have become on both sides where you have to spend floor time highlighting a part of the Constitution," Rep. Carlos Curbelo, R-Fla., told NBC News. "I think in context I can see why they would want to do it. Now, is it an absolute necessity? I don't think so." Though it remains illegal for any non-citizen to participate in federal and state elections, federal law leaves it up to the states to decide whether non-residents can vote in local or special elections. Non-citizens currently can vote in some local elections in 11 states. To date, there is no record of an undocumented immigrant who has recently crossed the border and cast a vote in one of these elections. San Francisco warns undocumented immigrants that their information could be accessed by Immigration and Customs Enforcement (ICE) officers. Supporters of allowing undocumented immigrants to vote in school board elections said it makes sense because it affects their children's futures or that those on a path to citizenship should feel like they're part of their community. But Republicans say that bending the rules for those who have yet to retain legal status could lead to undocumented immigrants participating in state or federal elections. Further, they argue, it could encourage illegal entry into the U.S.
"Extending voting rights to those who are not lawfully present in the United States acts like another incentive for foreign nationals to come to the United States illegally and stay," Judiciary Chairman Bob Goodlatte, R-Va., said on the House floor. Democrats said the House vote Wednesday was simply a political one that will help vulnerable Republicans make a point on the campaign trail in the last few weeks of the midterm elections. "They want to be able to say, 'Look at those Democrats, they're destroying our democracy, they're letting foreigners come and determine who gets elected,'" Gutierrez said. "It's always been about fear."